This is probably mine. What’s your favourite? What do you mean, you don’t have one? 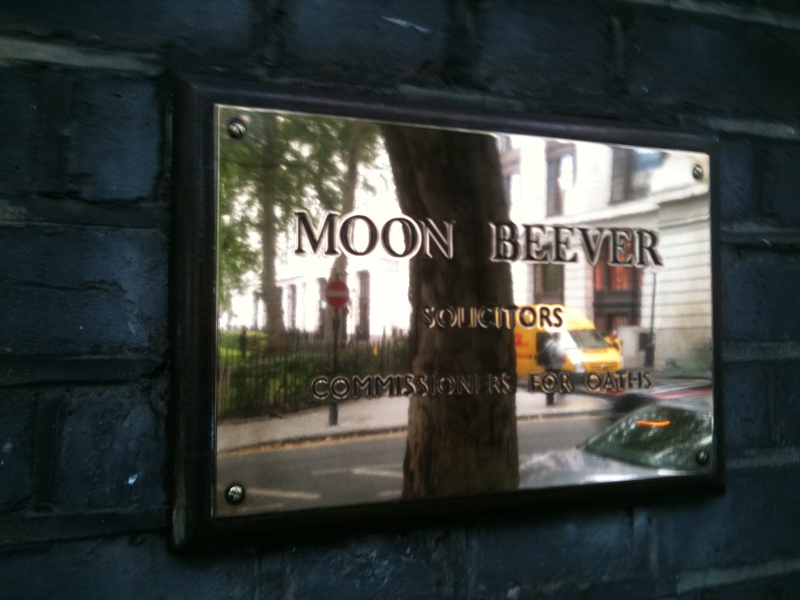 This entry was posted in London, Street furniture and tagged London, Moon Beever, nameplate. Bookmark the permalink. I would upload the photo in the comment box, but I dont know how! It isnt used for anything now. So why keep it? Why make the effort to make this plaque? Why admit you dont know why it was built. There must be so many acedemics out there who have theories. I think it’s charming. That’s on Bloomsbury Sq, right? Spotted it myself a few weeks ago. Not exactly a name plate, but I enjoy the plaque to Japheth Tickle on the eastern side of the Guildhall complex. No, its in Deptford. I did think, was it a name plate?, and I thought, yes, it is a name plate of a building! I was trying to tell my wife about it and made a mistake and called it Moon Otter.